Manning, a former army intelligence analyst who served seven years for one of the largest dumps of classified documents in US history, acknowledged responsibility for leaking the material. “I’ve accepted responsibility,” Manning, 29, told ABC in an interview broadcast today. No one told me to do this. Nobody directed me to do this. This is me. It’s on me. Getting all this information, death, destruction, mayhem and eventually you stop – I stopped seeing just statistics and information and I started seeing people. An excerpt of the interview aired on the network’s morning show. Manning said she hoped the 700,000-plus classified documents leaked in 2010 would spark a public debate, and did not believe they threatened US national security. “I have a responsibility to the public, you know… we all have responsibility,” she said, without elaborating. 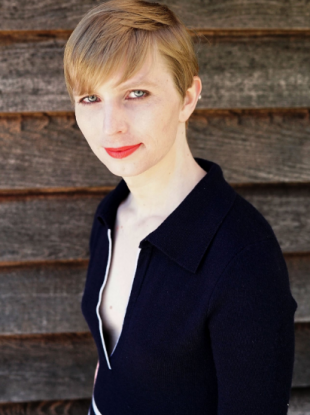 Soon after being sentenced in August 2013, Manning came out as transgender, and was treated for gender dysphoria only after her lawyer sued the military in September 2014. Hormone treatment “keeps me from feeling like I’m in the wrong body,” Manning said. I used to get these horrible feelings like I just wanted to rip my body apart, and I don’t want to have to go through that experience again. It’s really, really awful. Manning had been sentenced to 35 years IN prison and twice tried to take her own life, before then-president Barack Obama commuted her sentence just days before leaving office in January. Email “Chelsea Manning says 'justice has been served' in first interview since being released”. Feedback on “Chelsea Manning says 'justice has been served' in first interview since being released”.